On September 1, 1939, just two decades after the end of the Great War, the world was plunged into combat once again. Germany, led by the National Socialist German Workers' Party leader, Adolf Hitler, invaded Poland. The Second World War began. For the next six years, the world was divided into Allied, Axis, and neutral powers, and the ensuing unrest sent shockwaves far beyond the European continent. Canada, asserting its independence from the United Kingdom, officially declared war on Germany on September 10, 1939. Canada’s Jewish communities would ultimately make up the highest number of ethnic volunteers for war service. Amongst these numbers was a young man in his twenties, who resided in Montreal and was a well-known member of the Jewish community. This man's name was Allan Raymond. 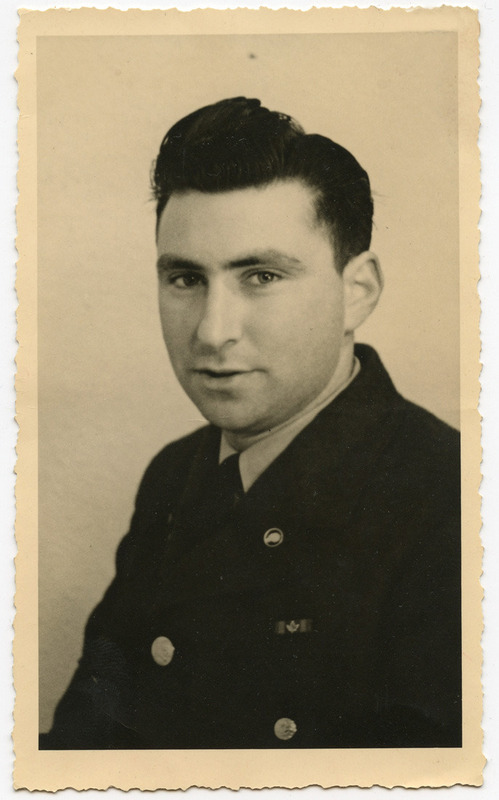 Mr. Raymond was born in Lithuania in 1922, and immigrated with his parents to Montreal in 1928. In 1942, he joined the Royal Canadian Air Force, and was sent overseas in 1943. Mr. Raymond spent time in England, France, Holland, Belgium, and Germany during the war. He was present for the liberation of Belgium and the rescue of survivors of the Bergen-Belsen concentration camp. From 1943 to 1945, Mr. Raymond regularly sent his friends and family letters and souvenirs from the countries he visited. These letters offer researchers a window into the experience of the average soldier during World War II. Mr. Raymond details everything from bathing in the army, to the kind of food he ate, to what he did in his leisure time. He also offered his opinion on what was going on around him. More poignantly, the things he does not say speak volumes to the experience of every soldier, who had to contend with both the mail censors and the horrors of the war they experienced. This project is named "Somewhere in Europe", a testament to everything Mr. Raymond could and could not say, and what World War II meant to him. Allan Raymond’s voice is not the only one in this collection. The voices of his friends and his family are all included in this collection. Their letters give us insight into the situation on the home front, where rationing food was common practice, and blackout drills were normal. They talk of the civil unrest around them and the hope that the War will soon come to an end. Together with Mr. Raymond's letters, this collection paints a vivid picture of the world as it was for Westerners in the mid-1940s.